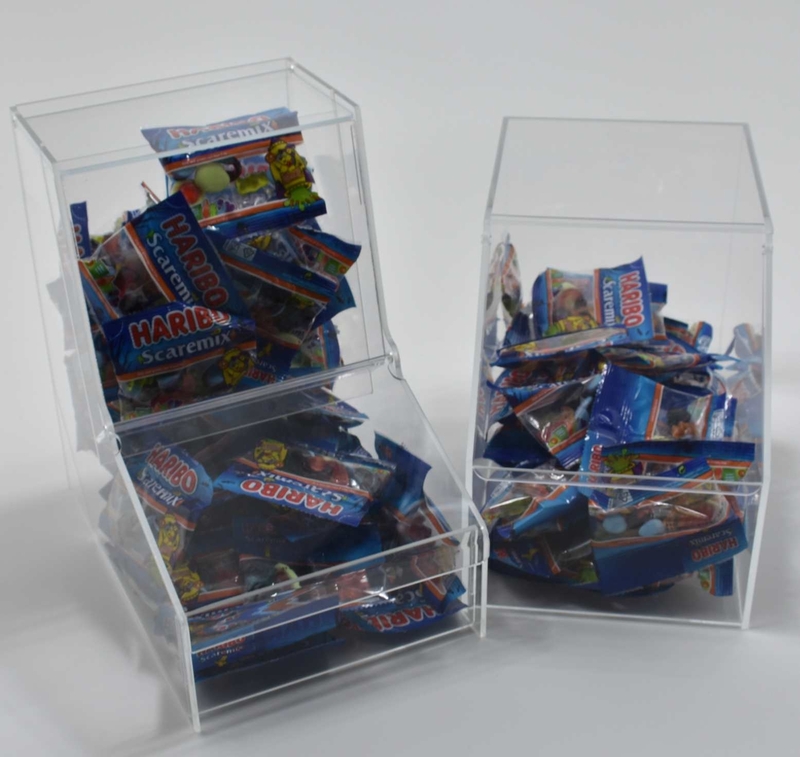 Top quality UK manufactured range of acrylic (Perspex) sweet bins with single & multiple sections, standard & made options in clear or coloured acrylic. 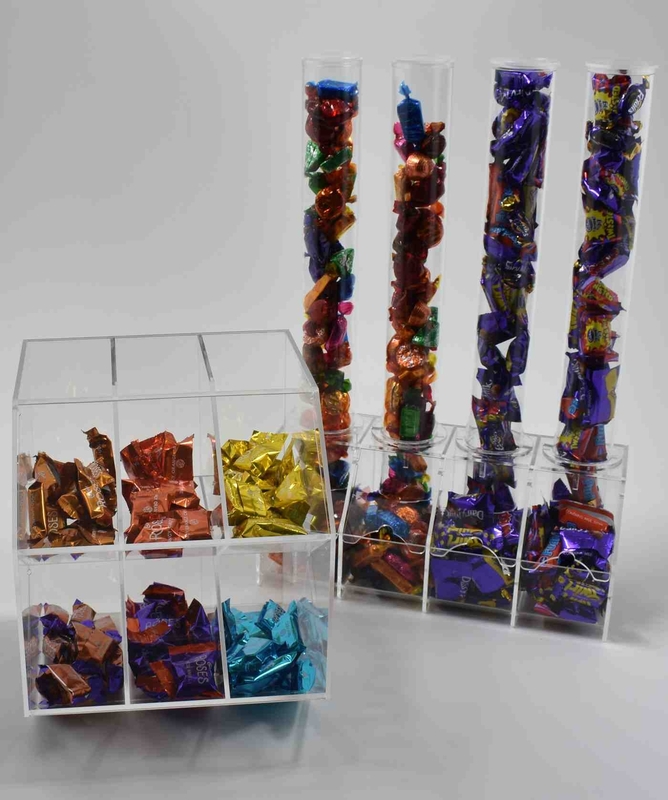 These acrylic sweet dispensers / sweet display containers are an ideal way to dispense chocolates, penny sweets & other confectionery items, they are commonly used for pick and mix in sweet shops, newsagents, cinemas and supermarkets. 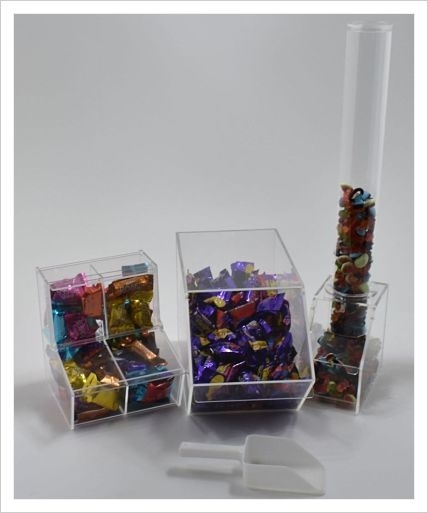 Sweet dispensers can also used for promotional items, small gifts, electrical parts & sachets of beverages, shampoos & condiments & much more. 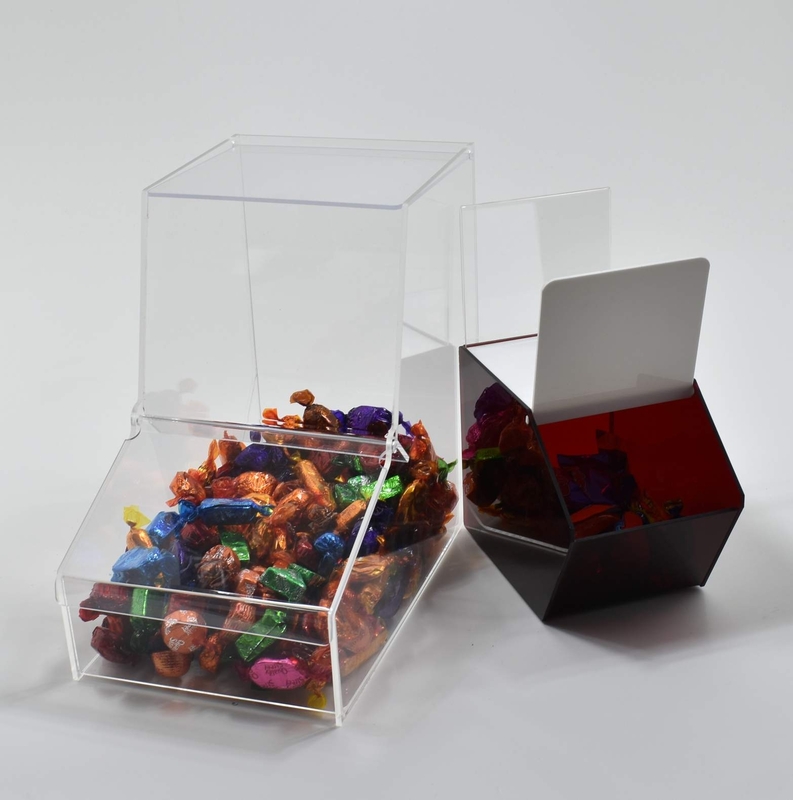 Please also view the 300mm acrylic globe & 200mm stacking cubes. 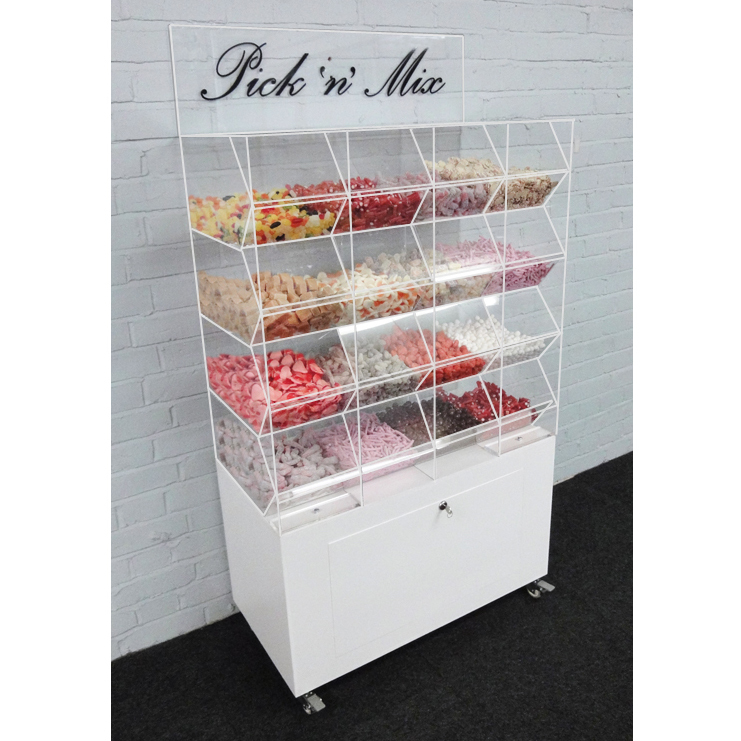 Click on the images below for more product information.